Moon snail. Photo courtesy of Genny Anderson. Answer: You read the regulations correctly. 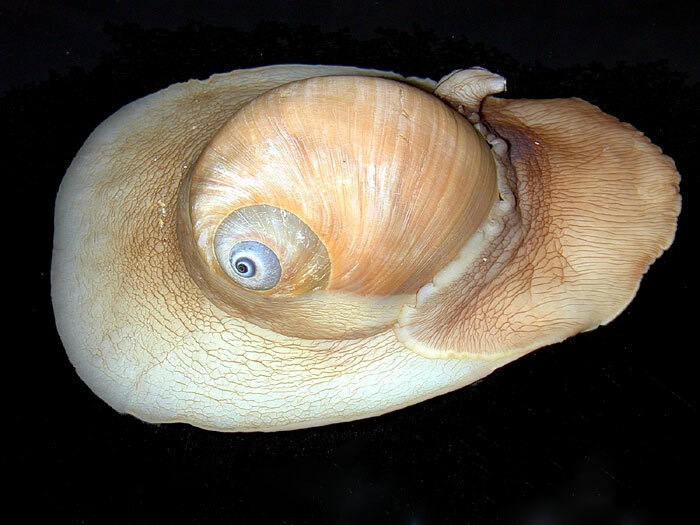 Moon snails are classified as mollusks and the state’s saltwater fishing regulations address them specifically. They are open to fishing and collection all year with a limit of five snails. Moon snails, however, may not be taken north of the Golden Gate Bridge, as per California Code of Regulations (CCR) Title 14, section 29.71, a protection that dates to the 1980s. Since Dillon Beach is north of the Golden Gate Bridge, no moon snails can be collected there. The good news is that you don’t have to travel far to legally take moon snails, which are considered a delicacy in some cultures. They are, after all, the marine equivalent of the land snail – better known as escargot – feted in French cooking. San Mateo County, just down the peninsula, is a popular area for collecting moon snails, which are often taken incidentally by those out looking for gaper clams. Don’t forget, you’ll need a current fishing license in your possession to take moon snails or any other mollusk. Good luck! Can I Use Corn for Carp Bait? There are several commercially available processed corn baits on the market. Canned corn is also popular with kokanee anglers. The one caveat is that corn is prohibited in special regulation waters where only artificial lures can be used. An alphabetical list of waters with special regulations is available in the back of the 2018-2019 California Freshwater Sport Fishing Regulations booklet. If you have doubts about whether special regulations apply, it is best to check if the river you plan to fish is included on the list and what the specific regulations may be.